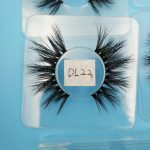 these DL style 25mm lashes are by far my favorite lashes, great quality! I’ve bought about 5 pairs overtime and depending on how well you take care of them they can last about a month! Worth the price! Be careful when you’re removing glue because they will shed if you are too harsh. 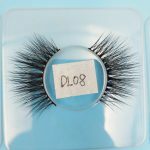 Anytime I’m wearing these 25mm DL lashes I get complimented on them. My main make up focus is eyes and eyebrows. 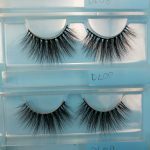 These lashes are a new staple in my beauty routine. 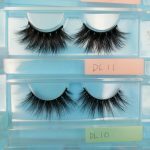 I’ve used many fake lashes and these by far are the easiest to apply (imo). The band is thick (which I like) it gives the illusion you’re wearing eyeliner. These lashes fit my almond eyes perfectly. They’re fluffy. Very 3D looking. Super glam. I only apply mascara to my lashes and then just press together my real and fake lashes. I can probably use one pair for about 15+ uses if I’m super careful with them. 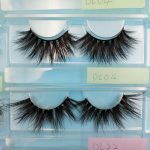 I have absolutely nothing negative to say about these lashes. 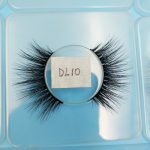 As a person who loves lashes and have not been able to find a “go to” pair, I have to say, these are by far the best lashes I have ever gotten. 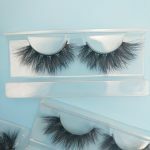 For the price that I got them for, these lashes are soft, high quality, and I use them to wear everyday. They’re not too dramatic, but definitely make my eyes pop. 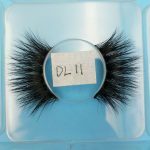 Perfect for everyday or glam up look. 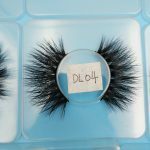 I will be definitely buying the DL 25mm lashes again.